Bathroom size: Many of the trends work in bathrooms of all sizes, but some work better in larger rooms. For example, a freestanding tub occupies a lot of floor space, which you don’t have in a tiny bathroom. Personal taste: What is your general style or preference for home décor? Are you a minimalist? Do you love ultra modern , or do you lean toward the rustic look? 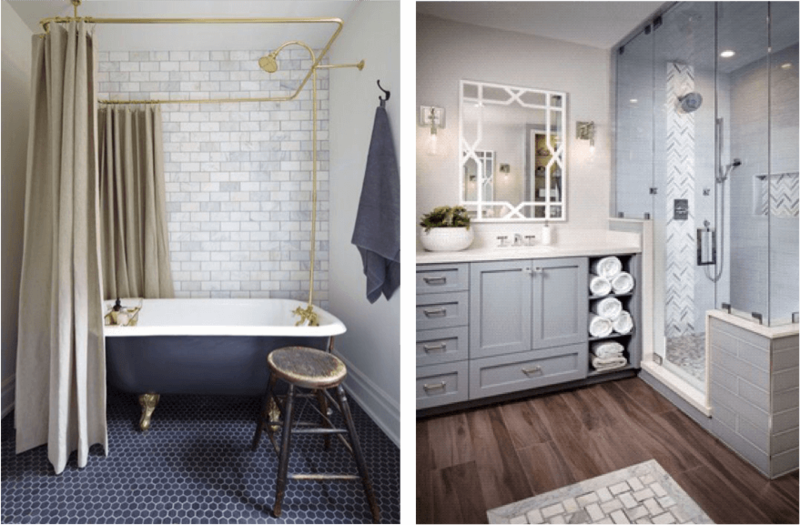 No matter what the trends say, it’s important to choose an overall bathroom design that you love. After all, you’re the one who will be using it every day. Coordinate your elements: Some trending bathroom elements are vastly different and won’t complement one another. You may love several different design ideas, but eventually you need to prioritize those elements to achieve the look you want without making the space look like a hodgepodge of ideas. 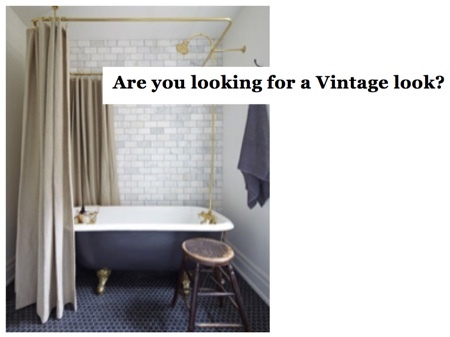 Work with a designer: If you’re having trouble sorting out the bathroom trends on your own, enlist the help of a pro. An experienced designer with an eye for what’s trending can help you pick out the best elements that create the look you want. A designer may also be able to help you work in different elements that seem like they wouldn’t go together. When you contact Handy Men & Mrs. Helper Kitchen & Bath for your estimate, consider working with our on staff designer, Ginger Mackay. She is certain to be up on the latest trends and provide direction that will work with your lifestyle and desires. 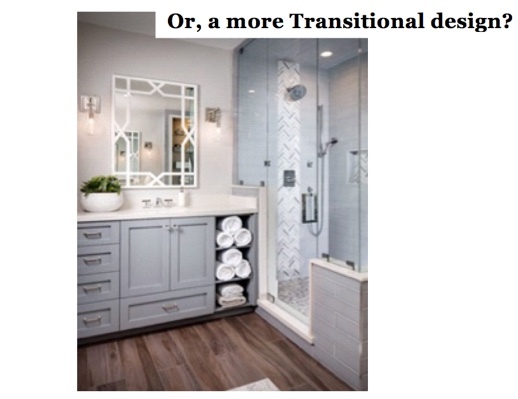 If you are unsure, this is just another reason to call HMMH KB as we can provide you with all of the direction you need to have the dream bathroom you deserve.847-713-2120 and Let Us Do It For You!